When Stephanie Sipzner began thinking about immigrating to Israel, the New Jersey pediatrician had plenty of questions about working as a doctor in a new country. Sipzner worried about adapting to a new language and medical culture. The Teaneck resident also was wary of the bureaucratic difficulty of transferring her medical credentials to another country – something she knew required professional assistance and months of waiting for foreign doctors seeking to work in the United States. But when Sipzner and her husband, a dentist, decided to make aliyah and move to Israel with their three children, she was pleasantly surprised to find that the logistics of acquiring a license to practice medicine in Israel was relatively pain-free. The same went for her husband, Yossi. “We were able to get a lot of the paperwork settled before moving,” said Sipzner, 34, who moved to Israel in 2017. The Sipzners were beneficiaries of an accelerated, customized process meant to smooth the transition for medical professionals moving to Israel from the United States. The special initiative is run by Nefesh B’Nefesh — the organization that assists North American and British Jews with aliyah and absorption in Israel, and helps immigrants overcome many of the bureaucratic hurdles associated with their move — in conjunction with Israel’s Health Ministry. A March 10 Nefesh B’Nefesh aliyah expo in New Jersey had a special “MedEx” track for prospective immigrants that included representatives of the Health Ministry as well as the Israeli Medical Association, Israeli hospitals and Israeli health organizations. The representatives answered questions about transferring medical licenses and getting Israeli accreditation, including in at least 110 one-on-one meetings with prospective immigrants, according to Nefesh B’Nefesh. The prospective immigrants also networked and learned about potential employment opportunities, and the hospitals and medical organizations even conducted job interviews. Sipzner’s Israeli credentialing was facilitated by Nefesh B’Nefesh, which can often help medical professionals get their credentials provisionally recognized even before they land as immigrants at Ben Gurion Airport. One of the major forces driving the special program is Israel’s shortage of medical professionals. Israel has a rate of 3.1 doctors for every 1,000 people, below the OECD average of 3.3 per 1,000 people, according to a 2018 report from its Ministry of Health. Israel also has just five nurses per 1,000 people, the fourth-worst rate among 34 countries in the OECD, a grouping of developed countries. Israel has 6.8 medical graduates per 1,000 people compared to an OECD average of 12.1; just 2.3 hospital beds per 1,000 people, compared to a rate of 3.6 in the developed world; and a hospital occupancy rate of 93.8 percent, second-highest among OECD countries and far above the average of 75.5 percent, according to the report. Israel’s shortage of doctors is the result of a population boom, the retirement of immigrant doctors from the former Soviet Union, the relatively low salaries for health care professionals, and the emigration of physicians abroad, or “brain drain,” according to experts. Since its inception, Nefesh B’Nefesh has assisted more than 615 physicians with aliyah. In 2018, the organization helped 58 North American physicians — which it said was the equivalent to 10 percent of the overall Israeli medical graduates per year. Israel’s requirements for medical professionals varies, whether you’re a physician, nurse, psychologist, or physical or occupational therapist. Most professionals trained in the United States do not need to do additional coursework in Israel. Licensed U.S. physicians — unlike other medical professionals, such as nurses and speech therapists — do not have to pass additional exams to be able to practice medicine in Israel. However, board-certified physicians do need to complete an adaptation period of three to six months in which they become acclimated to the Israeli medical system and are not yet fully independent. Medical ulpan language courses are also available to bring professionals up to speed with technical and medical Hebrew. 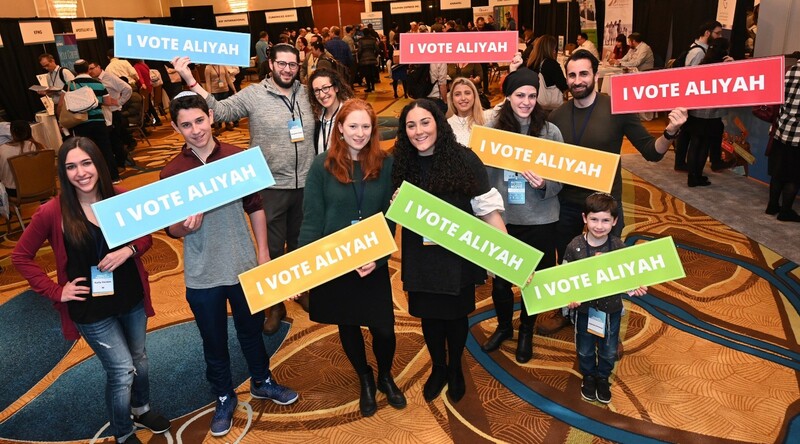 At the March aliyah “mega event,” prospective immigrants of all kinds received guidance on everything from choosing a community and finding employment to navigating the health care system and shipping one’s possessions to Israel. Medical professionals who brought their U.S. medical license, registration and letters of good standing from medical boards could access a one-stop shop for notarizing their documents rather than going through their local Israeli consulate or going to Israel first to submit their documents and then wait as long as eight months for approval. They were even able to obtain conditional approval at the expo. Once they immigrate to Israel, the medical professionals need only to present their new national identity card to the Health Ministry to receive final approval. “We need to get to know you through your documents,” said Dana Fishbain, director of the Israel Medical Association’s Scientific Council. Sipzner now lives in the central Israeli city of Modiin and works at a Maccabi health clinic. She praised Fuxman, who also serves as a liaison between the immigrants and the Health Ministry, for help both before immigrating and since arriving. Caine said he identified six potential hires in just three hours at the aliyah fair. 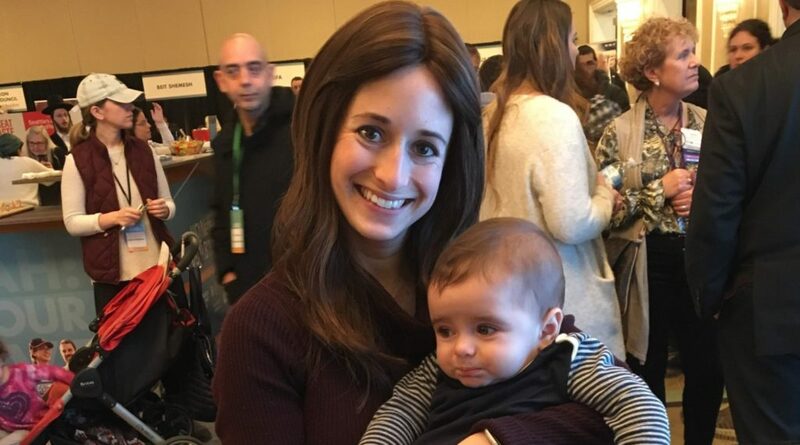 One event attendee, Tsivia Boim, a nurse practitioner from Cedarhurst, New York, said she came away confident about her opportunities in Israel. She is planning to move to Israel in August with her husband and three children. “It was amazing. I didn’t even expect to get as far as I did,” said Boim, who spotted some of her patients at the fair. With her documentation from the United States conditionally approved on the spot, “I can bypass a lot of the offices in Israel,” she said. This article was sponsored by and produced in partnership with Nefesh B’Nefesh, which in cooperation with Israel’s Ministry of Aliyah, The Jewish Agency, KKL and JNF-USA is minimizing the professional, logistical and social obstacles of aliyah, and has brought over 50,000 olim from North America and the United Kingdom over the last 15 years. This article was produced by JTA’s native content team.